We are two Catholic parishes working together to provide pastoral care for the central and western areas of the Isle of Wight. 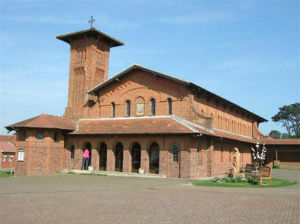 St Thomas of Canterbury church is situated in the middle of Newport, the county town of the Island. St Saviour's is at the far west end of the Island between Freshwater Bay and Totland Bay, close by Tennyson Down and the Needles. St Thomas of Canterbury in Newport is believed to be the oldest purpose-built post-Reformation Catholic parish church in the country. It was erected by the benefactress, Elizabeth Heneage, immediately after the Roman Catholic Relief Act of 1791, which allowed Catholics to practise their religion, but with restrictions. Steeples, bells, in fact anything that made a building look too much like a church, were forbidden. 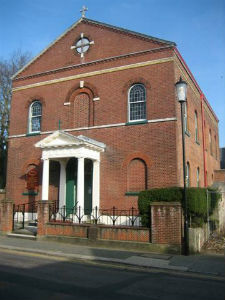 As a result, St Thomas's has a very plain exterior, and looks more like a Quaker Meeting House than a Catholic church. Inside are none of the side chapels and dark mysterious corners so typical of the nineteenth century churches that followed. The building is uncluttered, rectangular and full of light. The result is an elegant simplicity which makes St Thomas's one of the most beautiful Catholic churches in Britain. 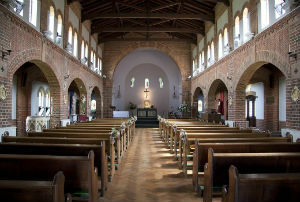 St Saviour's was built in 1923 to accommodate the ever growing number of Catholics in the West of the Wight who could no longer fit for Sunday mass into the chapel at Weston Manor. This was the home of the Ward family who donated the land for the church, school and presbytery to the Church. The church is Italianate in style. Our communities have benefited from the generosity of kind benefactors throughout our history and we are grateful for all the kindness that helps to sustain us. 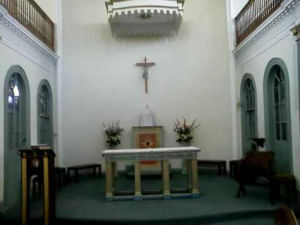 We welcome both local parishioners and the many visitors to the Island.